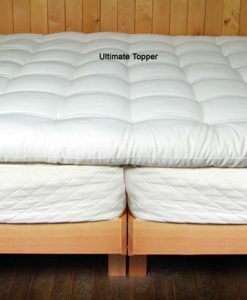 Latex mattress toppers and wool mattress toppers are a cost-effective way to make your bed healthier and more comfortable at the same time! You'll feel comfortable knowing there aren't any harmful chemicals or synthetic materials laying under you as you sleep. Our 100% latex toppers come in a handful of options: 100% natural talalay, 100% natural dunlop latex, and 100% GOLS organic dunlop. 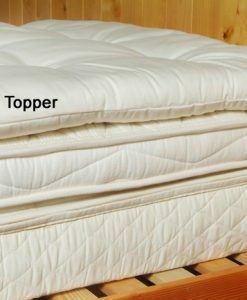 Click here to learn more about the difference between talalay latex vs. dunlop latex. And if wool toppers are more what you're looking for, you've come to the right place. Check out our wool options below!